Height in 5'3" 5'3" - 5'5" 5'5" - 5'7" 5'7" 5'7"
Long haul comfort, on-the-spot value - this is the formula at work for the Specialized Women's RBX Sport Shorty Shorts. They're made from lightweight, breathable, and highly durable Specialized VaporRize™ materials, so they're guaranteed to keep you dry, cool, and comfortable over the course of a long ride. Further along these lines, the fit of the shorts features an articulated design that moves with the body throughout the movements of cycling, not against it, and it's generally a less aggressive cut than what you'll find in the SL line. 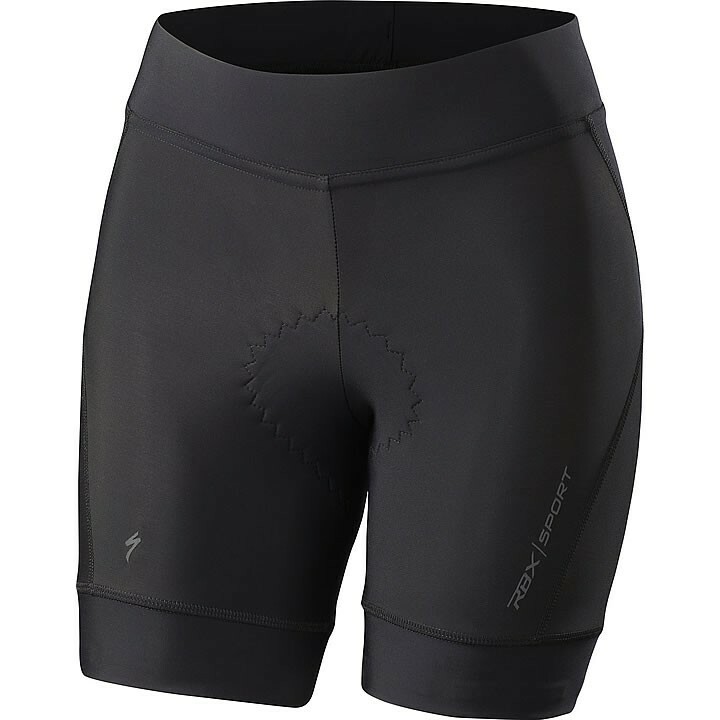 For the chamois, Specialized included their women's-specific Body Geometry Sport Women's insert that can be characterized by its ample padding. The benefits of this design are multifold in that it'll help to smooth out rough terrain, while also providing substantial support. Fold-over leg cuff with silicone print prevents pinching and discomfort by providing an even, low-volume, and compressive hold over the leg.